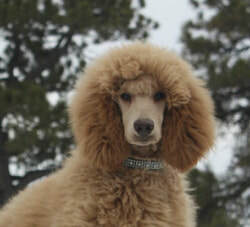 Red poodles are a newer addition to the poodle colors spectrum, and are still relatively uncommon. They developed from the apricot line. Red should have black points. Liver points are acceptable but not preferred. ​Reds like most colors usually fade, there are a couple of lines that are born light an then darken, before fading with age. This color is like reddish orange. Some are so pale that seem cream but with reddish tones. 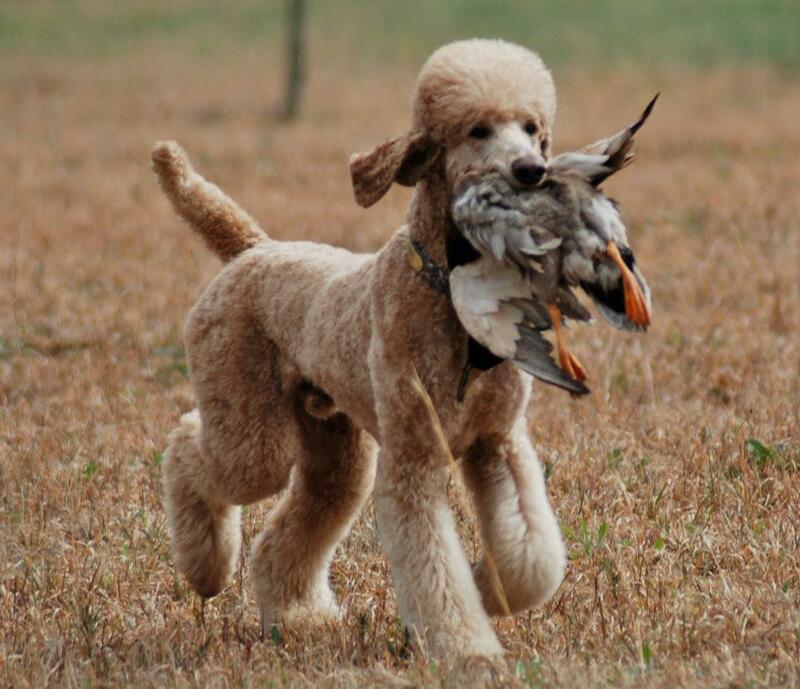 Apricot poodles should have black points. Liver points are acceptable but not preferred. Apricots almost always fade. This color should be as uniform in color as possible though shading is allowed, it is normal for ears to be darker then the rest of the coat.